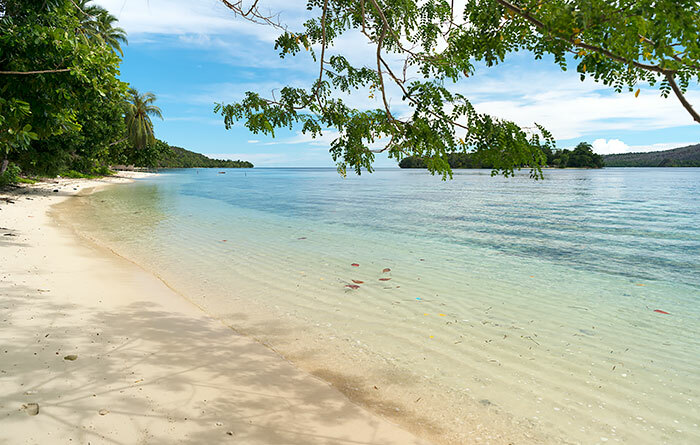 A private beach bungalow on a quiet and sheltered bay, perfectly located to explore the remote coral gardens and sights of the West Waigeo islands. A single room bungalow (no ensuite bathroom/toilet) Sleeps max. 2 persons / room. 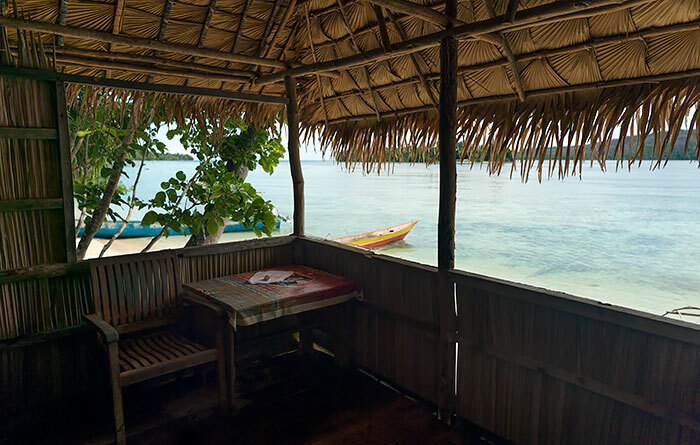 Nemo Homestay is a single private bungalow located on a fine white sand beach to the west of Manyaifun village. 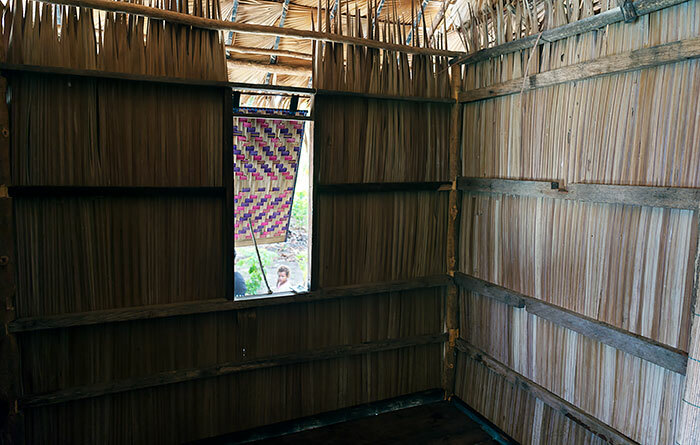 The bungalow sleeps two on a mattress on the floor, and has sheets, pillows, bolsters and a mosquito net supplied. A covered verandah affords excellent view across the bay between Manyaifun and the neighbouring uninhabited island of Batang Pele. Meals are served at a dining room located the behind the bungalow, but you’re welcome to eat at the table provided on the bungalow verandah if you prefer. Free drinking water, tea and coffee are supplied. 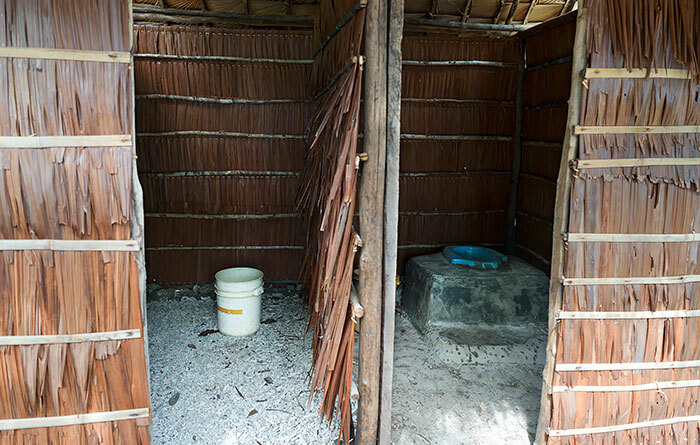 A two-roomed bathroom building has a raised squat toilet in one room and bucket bathing in the other. Electricity is supplied by generator and is available from sunset to around midnight. The Manyaifun mobile phone tower was out of action when we visited in June 2017, but when weather conditions were right you could sometimes pick up a weak signal from Selpele. It’s only useful for SMS though. Very little English is spoken at Manyaifun Homestay so it’s best to bring a phrasebook if you have no Bahasa Indonesia. Transport between Nemo Homestay and Waisai is by longboat and costs IDR 1,500,000 each way for up to 3 people, or IDR 2,000,000 for 3 to 6 passengers. Trip cost is shared by passengers and the boat can carry up to six passengers. 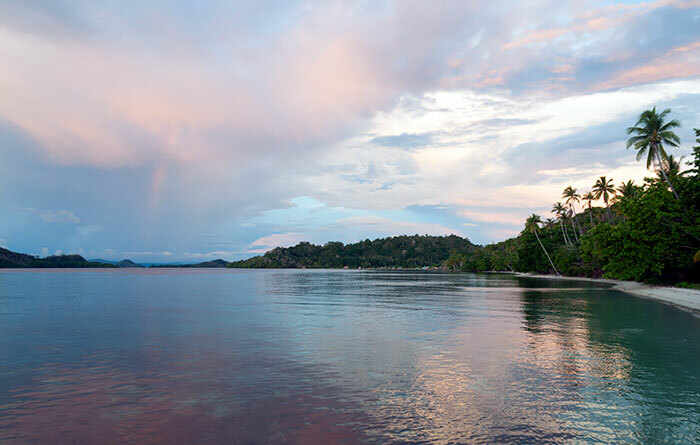 It’s a long trip (about 2.5 hours), but you’ll see a lot of Raja Ampat on the way. 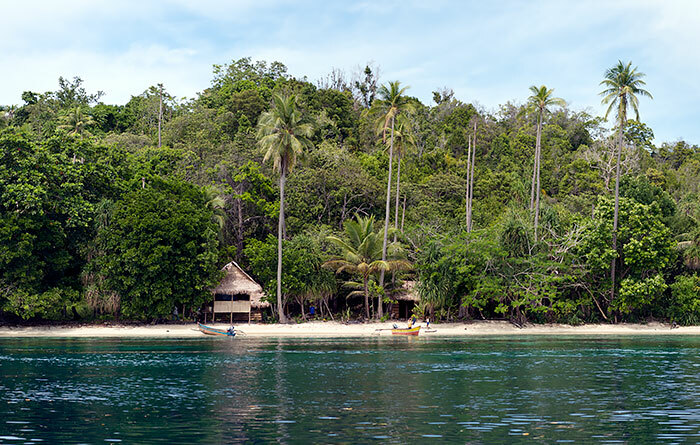 The route passes through Kabui Bay and Kabui Passage, then past a number of uninhabited cays with white sand beaches and turquoise waters between Kabui and Manyaifun. 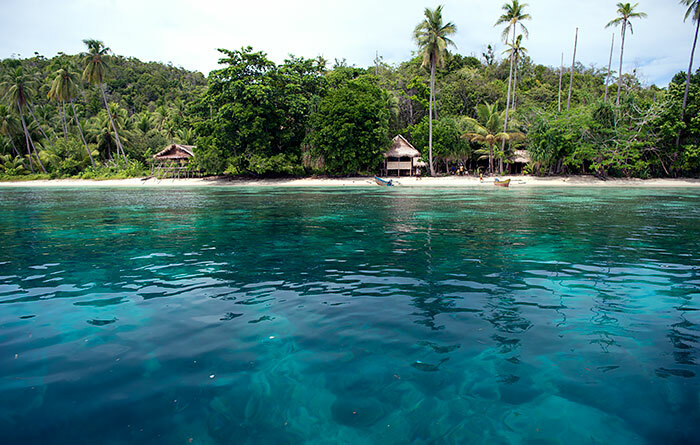 Nemo Homestay is a great base for snorkelling, bird watching and hiking. 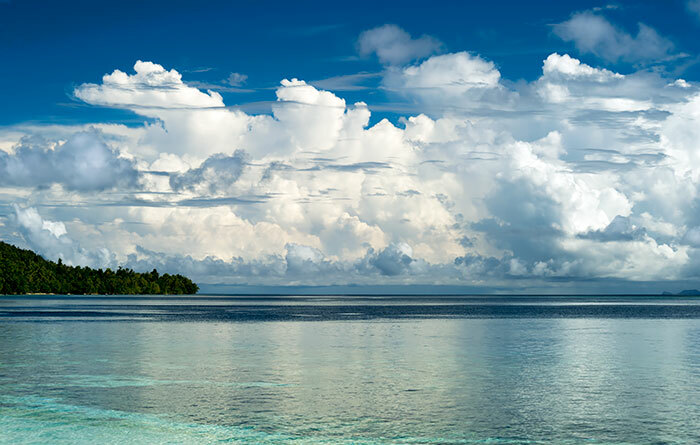 The heights of Manyaifun offer fabulous panoramic views, as do those of the much larger neighbouring island of Batang Pele. 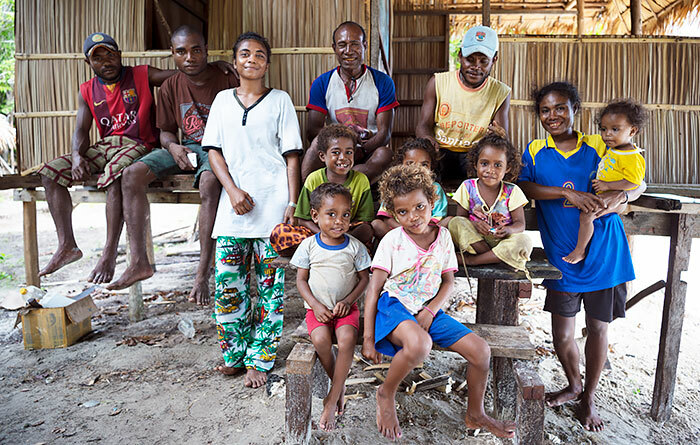 The Manyaifun village community is welcoming and the village is well worth exploring. Seek out the original bamboo water supply network that still provides water to some village houses, and the fresh water eels that live in a small pond in the village stream. 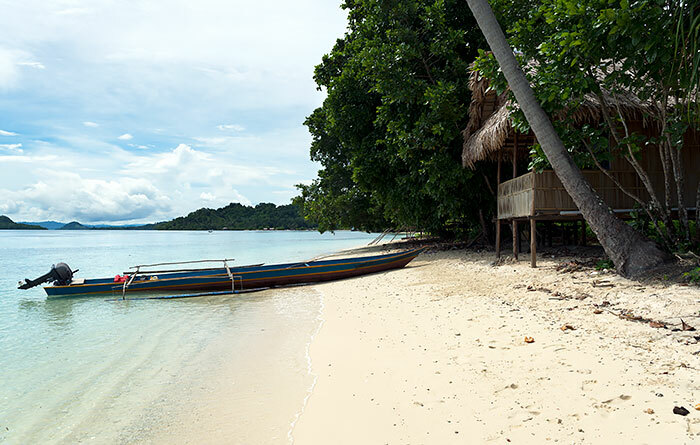 Good snorkelling is available of the beach at Nemo Homestay, and the West Waigeo area offers plenty of truly superb snorkelling locations. Nemo Homestay can organise trips of any length you wish. Be sure to bring your snorkelling gear! The table below shows a few of the many possible snorkelling and sightseeing trips available from Nemo Homestay. Prices are in Indonesian Rupiah and are shared by boat passengers. 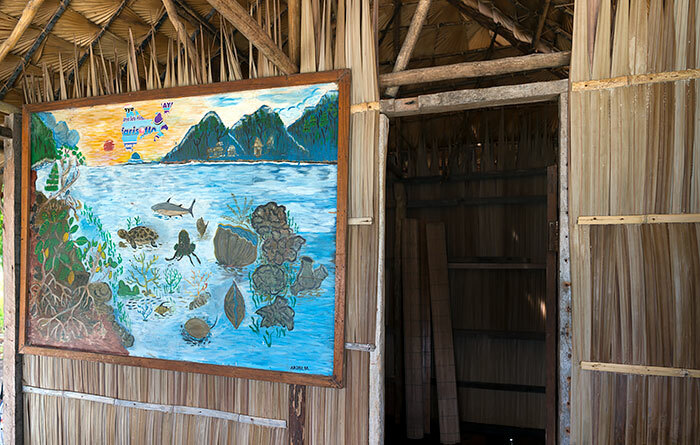 If you would like to organise a group stay at Manyaifun to save on transport costs, Manyaifun’s close neighbours Bon Wauw and Sea Fans homestays can accommodate you. See all Manyaifun homestays here. 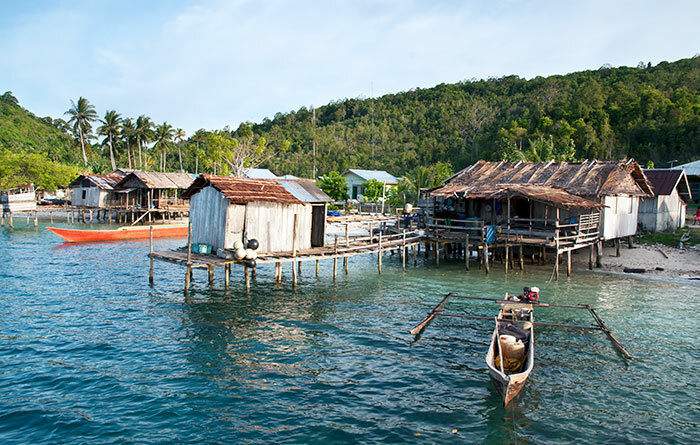 See our West Waigeo page for an overview of West Waigeo, its islands, and their attractions. This is by far the best in Manifayan, stayed 5 nights 12th December 2018.It’s quiet beachfront rooms with a solar panel under big shady trees is just what we wanted. It’s a 5 min stroll to the village which the new Mobile tower should be up & running now. Everyone involved in the running of homestay were perfect hosts, thank you Alex for snorkelling with us & pointing out things we would have missed. Special thanks to the kitchen the food was pleantiful & a good variety of it, we didn’t go hungry. We are so grateful to you all for taking us in at such short notice when our other planned homestay had over booked, we found paradise here with you. I give this homestay 10/10 *****. 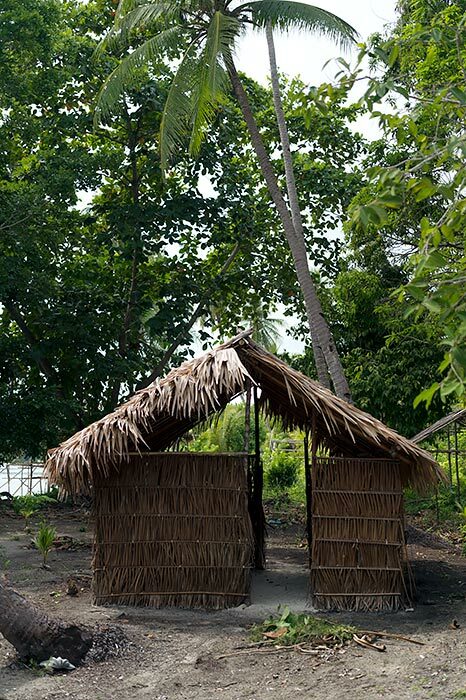 We shall return with more people so keep working on the new hut. Michelle & Glen / Mid Nth Coast Australia. very much. And I went 4 snorkeling trips. All of trip are amazing. 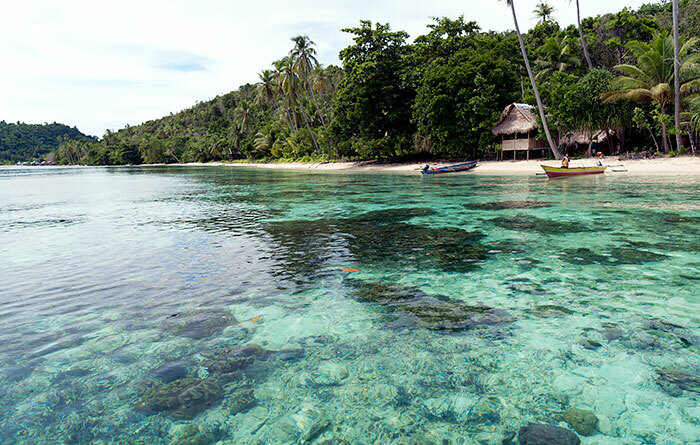 If you like snorkeling , staying at Meno is one of the best option. 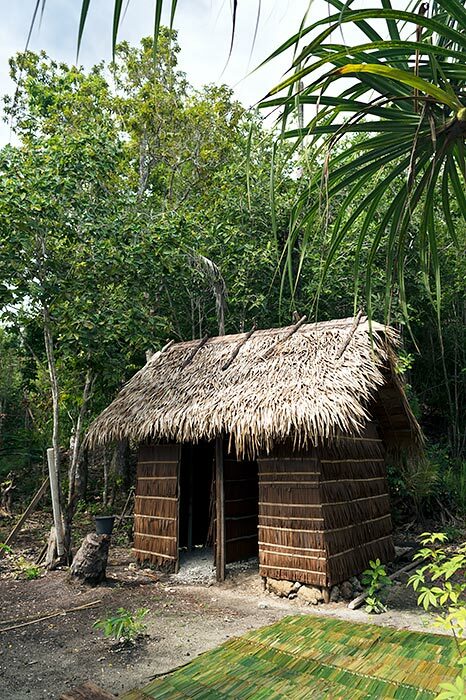 I am thinking about booking this homestay. However, there is no email info to contact in order to ask some questions and check availability. There’s no cell phone or internet service available at Manyaifun, so Nemo doesn’t have an email address. We might be able to answer any questions you have. If you are sure of the dates you want to book, simply request a booking using the form on the website. If available, a booking will be confirmed for you, if not, our system will send you an email letting you know. Here is how the website booking system works.